JUMLA, Feb 17: With the modern means of culture and art sweeping the globe, the traditional culture and art of the Karnali region are taking a back seat lately. Unlike in the past, conventional musical events like singing traditional songs, dancing and playing traditional musical instruments on various occasions like wedding and Bratabandha (sacred thread ceremony) scarcely take place these days. The most concerned on the neglect of traditional art, music and culture are those elderly people and concerned authorities of the region, in particular who are strongly advocating for preserving such traditional culture and art. "Culture is our originality and identity. It has helped retain our existence. But I am saddened at the trend of new generation who otherwise are interested in foreign culture," said Rana Bahadur Shahi, 83, of Kudari-5 in Jumla. Culture expert Rama Nanda Acharya said the region was rich in culture, art and literature in the past. "The development of architecture and iconography has expanded to Gandak, Kantipur and Patan as stated in ancient copper plaque and stone-inscriptions. But the failure of bringing these art and culture to the fore has made the matter worse," he said. We have forgotten the fact that Khas empire has played a significant role in the development of art, culture and literature of the region, which is a major concern now, he said while referring to then culture wherein dancers and beautiful girls from various races and places including from Tibet would visit the empire and would dance and sing. "Deuda, a combination of song and dance performed without the play of musical instruments, is the source of the origin of the songs we sing at present at local level. However, the failure to give it a company of various musical instruments and bring it to the publicity has risked its disappearance," he said. 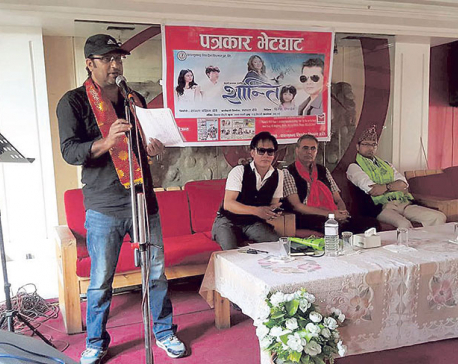 Deuda singer Bimala Shahi viewed that intrusion upon culture and songs of people of the region like Deuda, by so called modern music like pop songs has added to the problem. 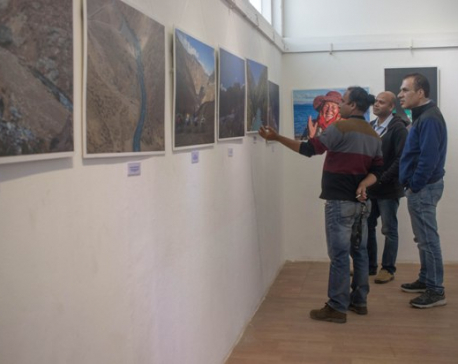 The Karnali- Photo Exhibition hosted by Nepal River Conservation Trust (NRCT) began on March 16 at Nepal Art Council, Babermahal.